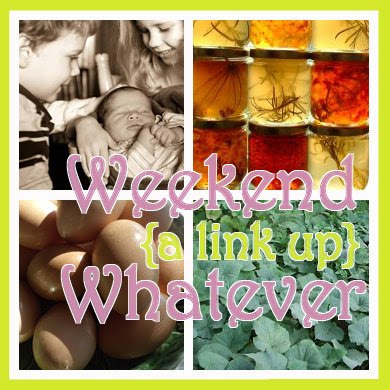 Welcome to Weekend Whatever Link Up #44! Please link up and share your favorite posts! 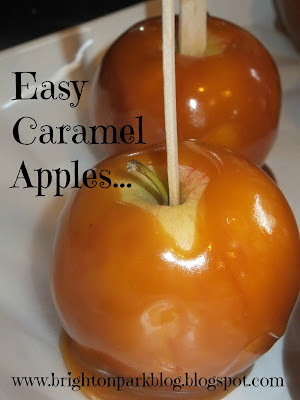 I’m loving this recipe for easy caramel apples from Brighton Park. It looks so delicious! If you were Featured this week you have or will be tagged and or tweeted! Please do not share other link parties to Weekend Whatever. You may however add them to our growing linky list for all to find you. Please link the specific post URL only. Please share or tweet this post after linking up – there’s a handy little button now. Your Thriving Family is making “Baby, What I Wish I Knew”featured posts. There is a giveaway for you through the end of the month for you iPad or tablet owners. Be ready for Daylight Savings on the 4th!!! At Creative Christian Mama, we’re getting the hang of the GAPS diet, so next week you’ll see a post with the summary of our first two weeks. There have been some surprises! Also, be sure to check out our new Etsy store! You can get 20% off your order through Saturday the 27th using coupon code “GRANDOPENING“! At Simple Living Mama, you’ll get a peek into my hospital bag and baby’s diaper bag for the hospital. It’s almost baby time!! Whole Intentions is bringing you the latest news on the online HealThy Mouth World Summit Event coming up on November 11th. We’re amazed at how dental care effects every aspect of your health. Do you want to hear 21 expert presentations from a panel of 20 medical doctors, dentists, nutritionists, naturopathic doctors, acclaimed authors and experts in oral health from 6 different countries? We’d love to have you join us!